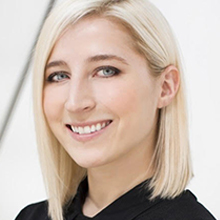 Jenna is the founding editor of technology coverage for women’s fashion magazines. Having been the first Technology Editor starting at Marie Claire, she now oversees the tech content for both the print and digital platforms at ELLE. At the nexus of fashion, beauty and technology, Jenna is a thought leader in how these industries come together. As such, she advises ELLE and Nina Garcia as well as legacy brands and new technology companies on pathways forward.